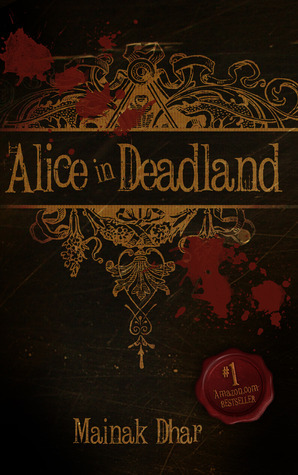 In short, this wasn’t as good as I thought it would be. 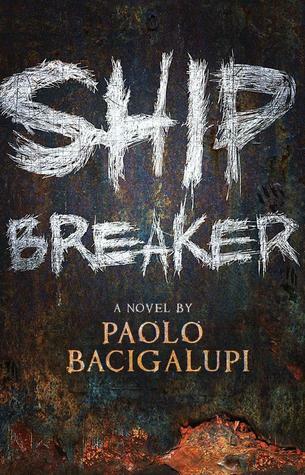 In this powerful novel, award-winning author Paolo Bacigalupi delivers a thrilling, fast-paced adventure set in a vivid and raw, uncertain future. The main character Nailer meets a girl and of course he rescues her. They then try to run off together but of course things get in the way- e.g. Nailer’s creepy messed up dad who has serious anger issues. I felt like I couldn’t connect to any of the characters. They seemed kinda one-dimensional and I just couldn’t connect. So whenever something sad or happy happened to them, I just couldn’t feel the same. I hate to be mean and harsh but it felt like a wild goose chase. Nailer and the girl were just running around like headless chickens trying to run away from the bad guys, and it just kept going in circles. To give an example of this, when I read I often lose my bookmark and therefore have to find my original page. When reading this I found that I would always be rereading parts or skipping some parts and then having to reread the entire thing because I just couldn’t get the plot into my head. There’s the saying that you never really know who you truly are unless you are under pressure e.g. a life death situation, or at least from my memory it goes something like that. In the last fight scene (not proper fight- just the “good guys” against the “bad guys (aka Nailer’s crazy dad”, I felt like this situation was kinda replicated. *spoiler hint alert* Such as when Nailer’s dad was trapped he became a little puppy with the cute wide eyes, and we realise that even though he is such a horrible person he didn’t used to be and underneath he still has some nice parts.